A must have for DSME&S program managers and staff! 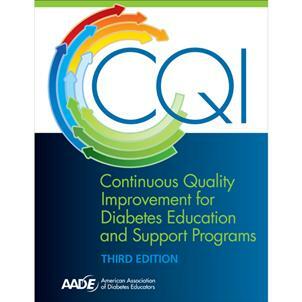 CQI for Diabetes Education and Support Programsprovides the context for CQI in DSME&S programs while stepping youthrough the process of selecting, implementing and evaluating aneffective CQI project. Case studies provide examples of projectsrelevant to DSME&S programs. Appendices include worksheets to use inyour planning process, an easy-to-understand review of analytic toolsand methods to incorporate into your project, and a quick comparison ofthe distinctions between a CQI process and a research process to keepyour project focused and on track.